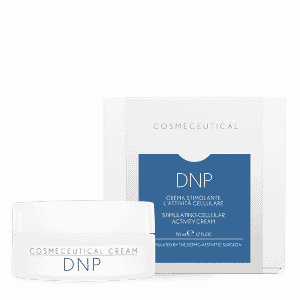 It is the cosmeceutical cream featuring a mix of AHAs, resorcinol and kojic acid, specific to regulate the color and the thickness of the skin. Its application significantly improves the absorption of the actives contained in the cosmeceutical products used the following morning. Its special formulation has a double action depending on its use. It can be applied in small quantities and absorbed or as a mask for a specific length of time. Apply a thin layer of product in the evening, massage it until absorption. Leave it on the whole night and rinse in the morning. When applied as a mask, use more product to create a thick layer on the skin. Leave it on for 10 minutes and rinse. AHA: Lactic, mandelic and malic acid are a group of acids that can be found in nature. Their main feature is to reduce corneocyte cohesion. 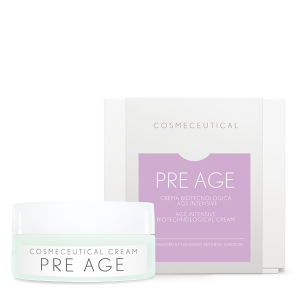 They break the chemical links of stratum corneum cells, leading to exfoliation. 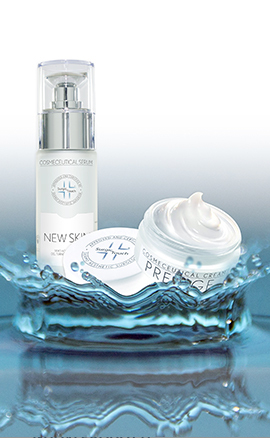 The steady application of AHAs causes the reduction of stratum corneum, epidermis and dermis thickness. Kojic Acid is used in cosmetics for its antioxidant and exfoliation properties. It helps cell regeneration and it prevents skin aging. It also has a strong whitening action, useful in treating melasma, solar and aging lentigos or other hyperpigmentation skin problems. It prevents wrinkles, it reduces wrinkle depth and it improves elasticity, stimulating fibroblasts to produce collagen and elastin. It decreases pigmentations caused by an excessive UV exposition, regulating the proliferation of corneocytes. Vitamin E is a fundamental protective factor against oxidation due to “fat” substances, in particular phospholipids (they are also elements of the cells). Vitamin C fights oxidation, thus the creation of highly dangerous substances. Excellent in synergy with Vitamin E.
Salicylic Acid has a smoothing and keratoplatic action. It causes the exfoliation of the superficial layers of the skin and is effective in removing keratin plugs. At this point it is also a bacteristat and it dries and sooth acne without irritating the skin.